Our 4 Days 3 Nights Tsavo and Amboseli Safari Ex Mombasa and Diani beach hotels – See the Big five and the famous Mt. Kilimanjaro in Amboseli known for it’s snow cap. , a big surprise for many explorer’s safari of the early 19th centuryAmboseli lies immediately North West of Mt. Kilimanjaro, on the border with Tanzania. Its wealth of flora and fauna has resulted in the recent designation as an International Bio-sphere Reserve. Tsavo East and West boast of open plains, scenic beauty and all members of the Big Five. Depart from your Mombasa,Diani or Watamu hotel in the morning and drive along the Mombasa – Nairobi road to the first gate to Tsavo east national park (Bachuma gate). After entry embark on your first game viewing in search of Elephants ,the man eaters of Tsavo, Buffalo, cheetah, Giraffe and other plain game. Lunch at Voi safari lodge or Voi wildlife lodge and safari spa. Afternoon game drive which includes a visit to the famous Aruba dam where lots of game can be found especially during the dry season .Dinner and overnight in the same lodge. Early morning game drive starts at 0600 Hrs before returning to the lodge for breakfast. Thereafter checkout and drive to Tsavo West national park with game viewing en-route to Ngulia Safari lodge /Kilaguni Serena safari lodge for check-in and lunch. Afternoon game drive which includes a visit to the Rhino sanctuary. Dinner and overnight in Ngulia safari lodge. A pre-breakfast game drive to view the beautiful Tsavo West Mountains. After breakfast, visit the famous Mzima Springs, spot the Hippos, Crocodiles and different types of Fish in the crystal clear waters. Game en-route to Amboseli National Park arriving in time for Lunch. Afternoon game drive in search of the big five. 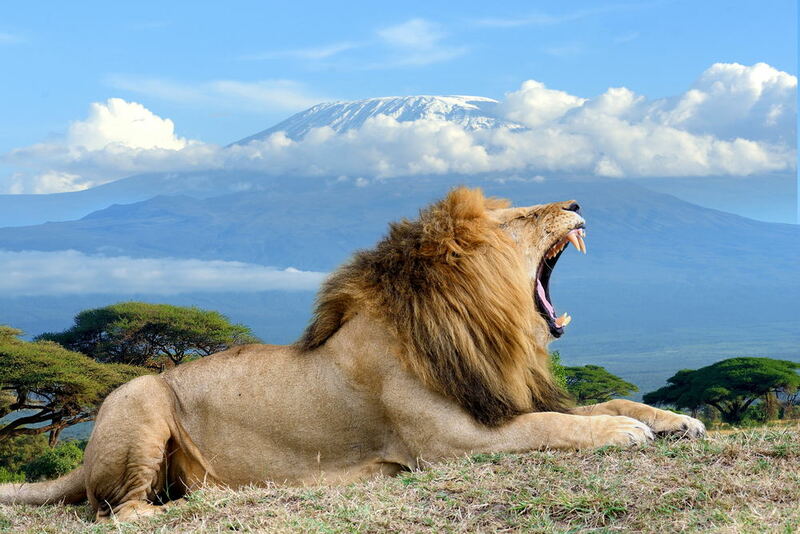 Enjoy the spectacular views of the Africa’s highest snow capped Mount Kilimanjaro. Return to Amboseli Serena Safari Lodge / Ol Tukai Safari Lodge for dinner and overnight. PRICES 2019 : Please Inquire!